Keeping your phone or tablet securely backed up is never a bad thing. We store all sorts of important information on our devices these days, like contacts, calendar info, text and call logs, photos, music, videos, and more that I’m sure we would all love to keep locked up tight. Are you doing anything to keep it all safe, though? 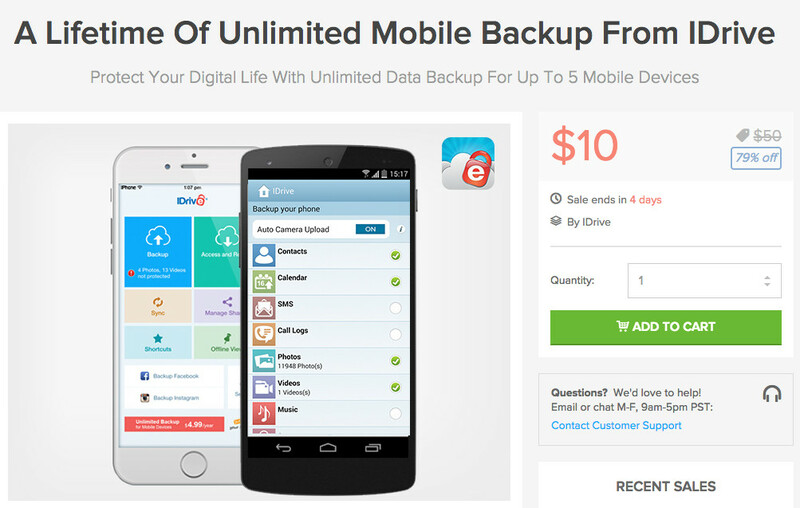 If not, consider our current DL Deal from IDrive that will land you unlimited lifetime mobile backup for just $10.